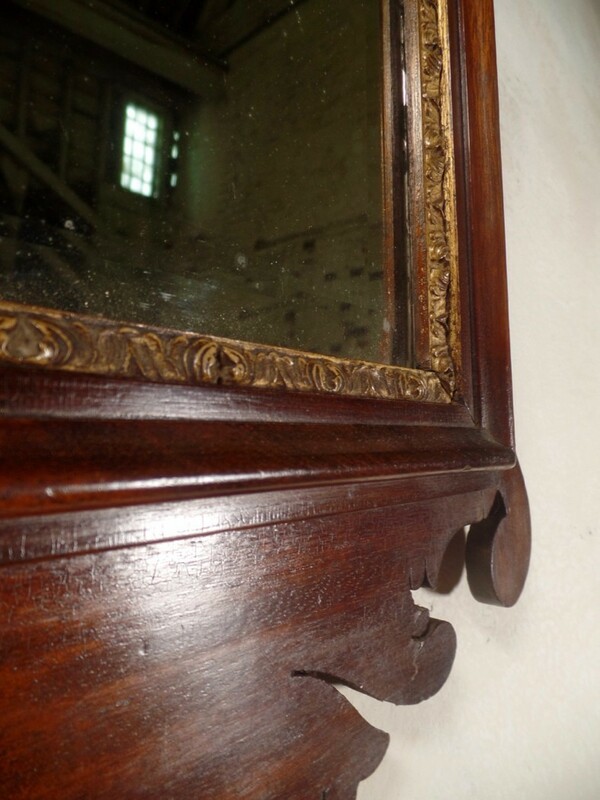 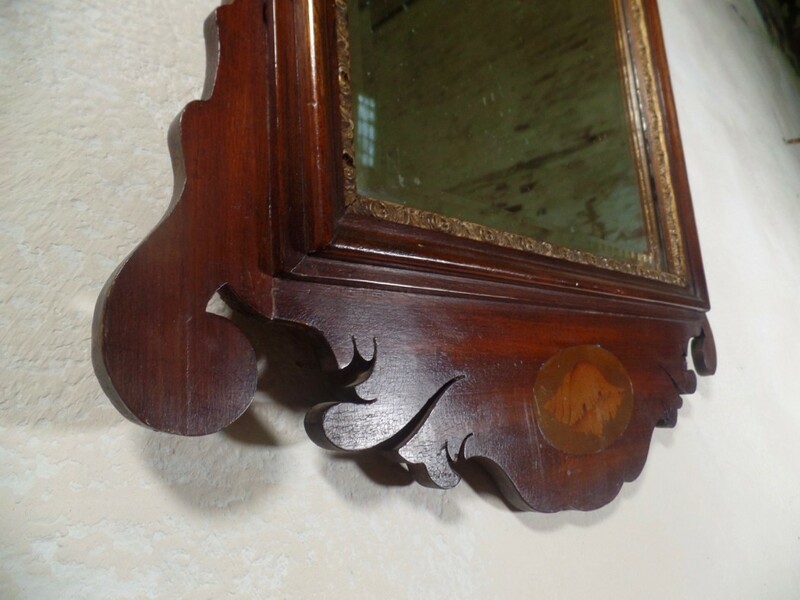 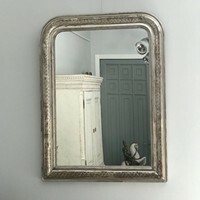 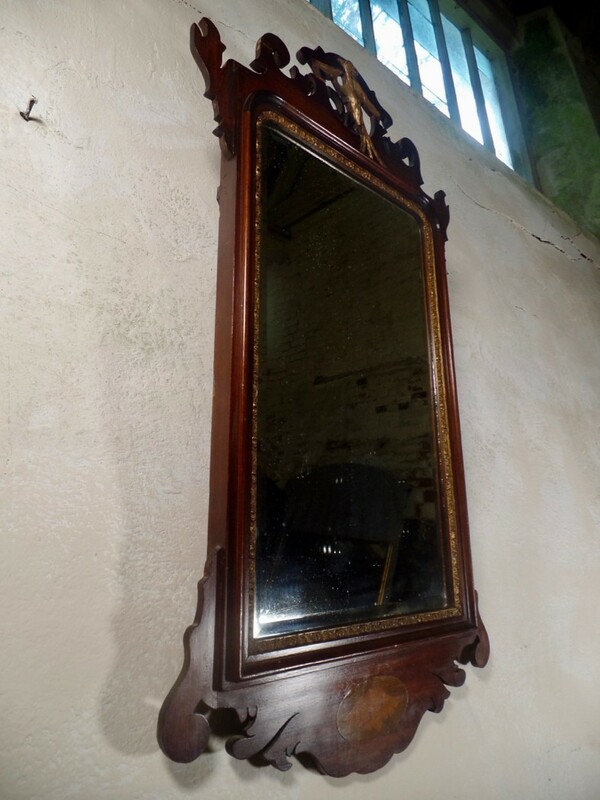 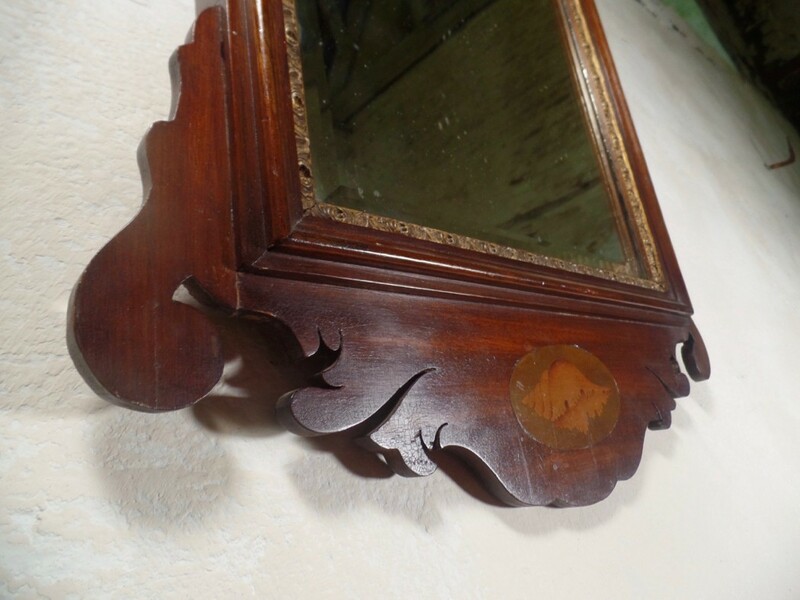 A mahogany George II style fret-frame wall mirror. 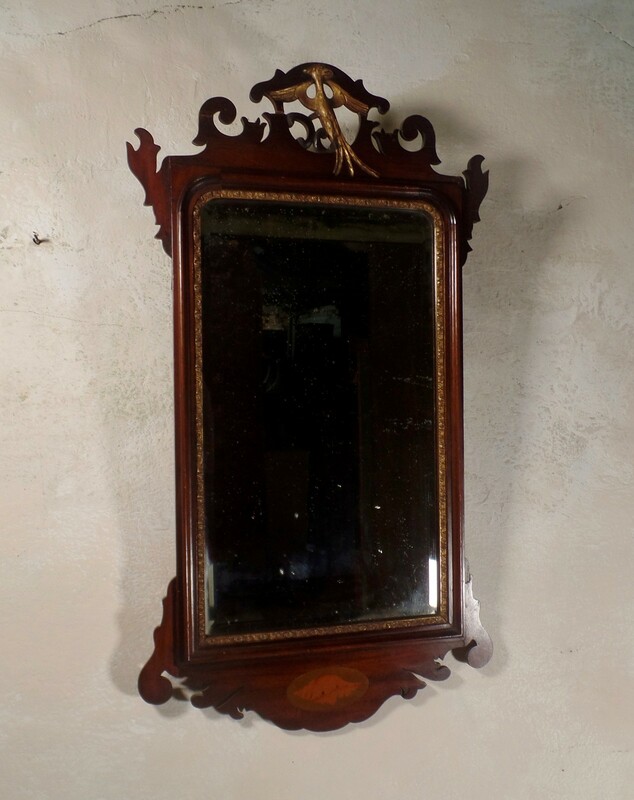 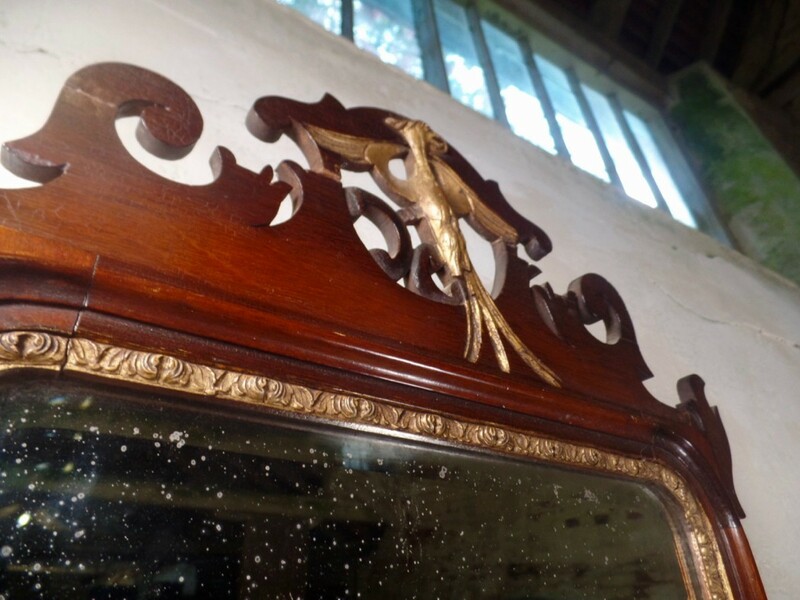 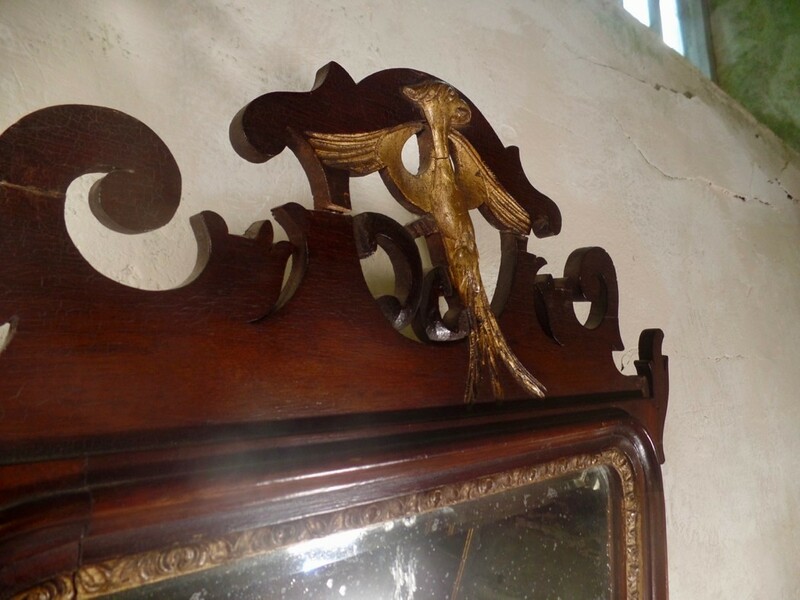 An impressive example featuring a gilt ho-ho bird surmount at the top of the mirror and located on the lower part of the frame is an inlaid conch shell. 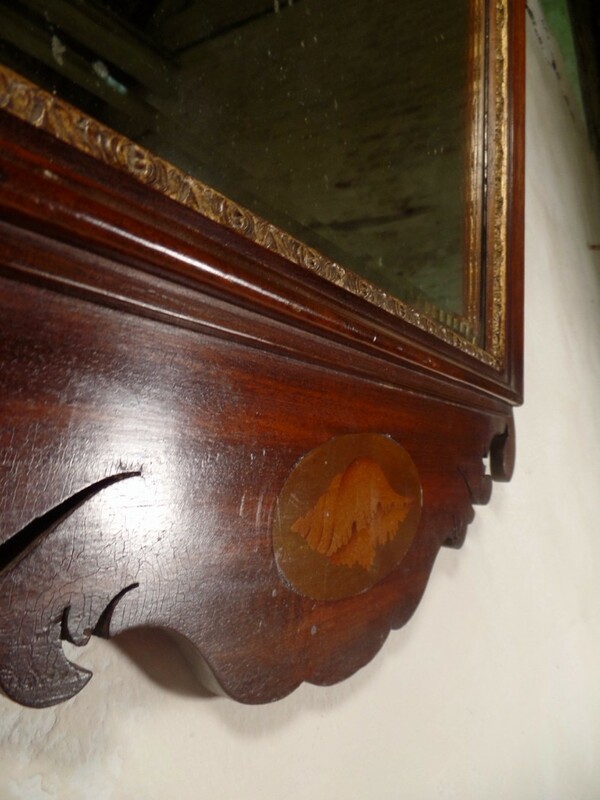 The mirror glass is original and shows some signs of foxing and age. 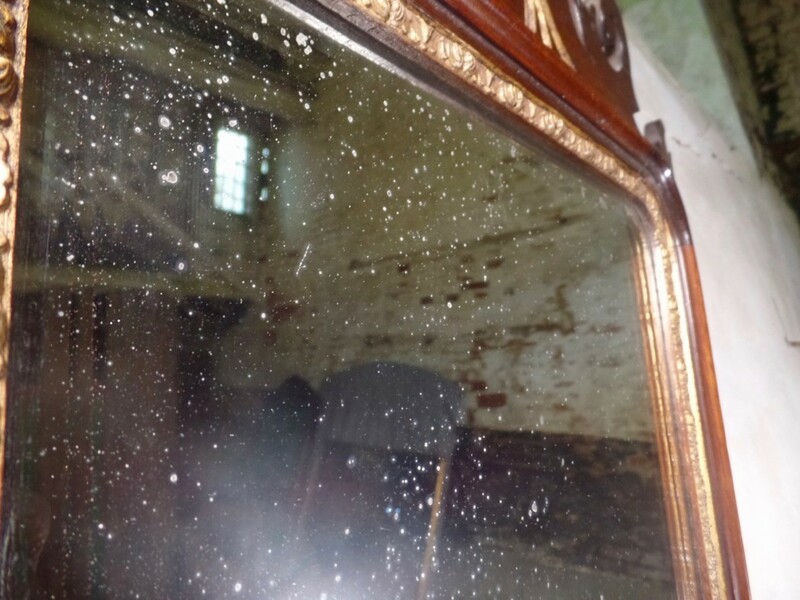 The mirror is in good condition though does have signs of restoration over the years.